All of HP's 12-inch (and under) laptops have either been tablets, netbooks, or products aimed at the business crowd—until now. 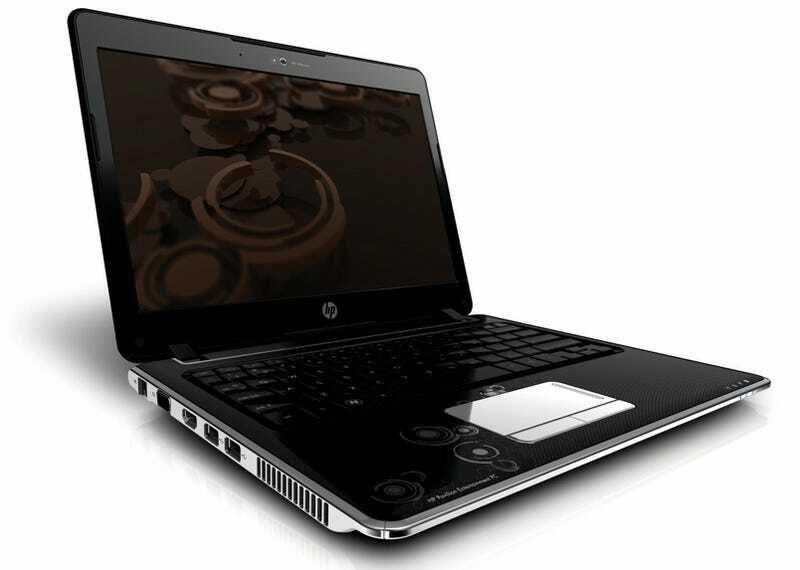 The Pavilion DV2 is HP's new 12-inch consumer laptop that is under an inch thick. The DV2 is powered by a 1.6GHz AMD Athlon Neo MV-40 processor, supports up to 4GB RAM (only one slot, however), offers up to 500 GB storage, and comes with HDMI-out. It also has an 8x DVD burner, webcam, 802.11n wi-fi, Bluetooth and WWAN configurations available. The DV2 will hit stores in March, costing between $600-$800.